The National Fish and Wildlife Foundation (NFWF), along with numerous federal, state, and local agencies, companies, and organizations, recently announced funding for a variety of upcoming projects to restore fisheries, protect important habitat, and provide educational opportunities across the USA. The National Fish and Wildlife Foundation (NFWF), U.S. Fish and Wildlife Service, U.S. Bureau of Land Management, U.S. Forest Service, Bass Pro Shops, and the Brunswick Public Foundation announced the 2018 funding for Bring Back the Natives projects. Twelve new native fish conservation and restoration grants totaling $590,000 were awarded, leveraging $2.07 million in match from the grantees and generating a total conservation impact of $2.66 million. 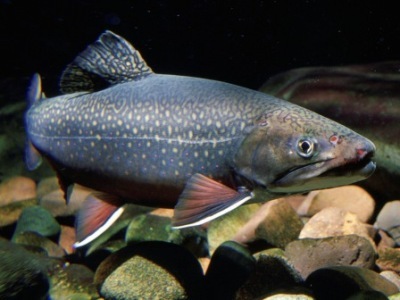 The Bring Back the Natives program invests in conservation activities that restore, protect and enhance native populations of sensitive or listed fish species across the United States, especially in areas on or adjacent to federal agency lands. The program emphasizes coordination between private landowners and federal agencies, tribes, corporations and states to improve the ecosystem functions and health of watersheds. For 2018, the National Fish and Wildlife Foundation (NFWF) and the U.S. Environmental Protection Agency (EPA) partnered in grants to support the restoration and conservation of the Chesapeake Bay watershed in six U.S. states and the District of Columbia. The grants were awarded through the Chesapeake Bay Stewardship Fund (CBSF), a partnership between NFWF and the EPA’s Innovative Nutrient and Sediment Reduction Grants Program (INSR Program) and Small Watershed Grants Program (SWG Program). Additional support is provided by the U.S. Department of Agriculture’s Natural Resources Conservation Service, the U.S. Forest Service, the U.S. Fish and Wildlife Service, the Altria Group Restoring America’s Resources partnership and CSX. The Long Island Sound Futures Fund (LISFF) are focused on improving water quality and restoring habitat around the Long Island Sound watershed. This grant program combines funds from the U.S. Environmental Protection Agency (EPA) and the National Fish and Wildlife Foundation (NFWF).